Fondazione Berengo was founded in 2014 to become the leading institutional voice in the world for the thirty-year project of Adriano Berengo: to introduce the glass art of Murano at the highest level in the sphere of contemporary art by revitalizing, in an innovative way, the centuries-old traditions of the Venetian glass-making island. Artists from many fields have been involved to create works of art in glass or works that refer to this concept. 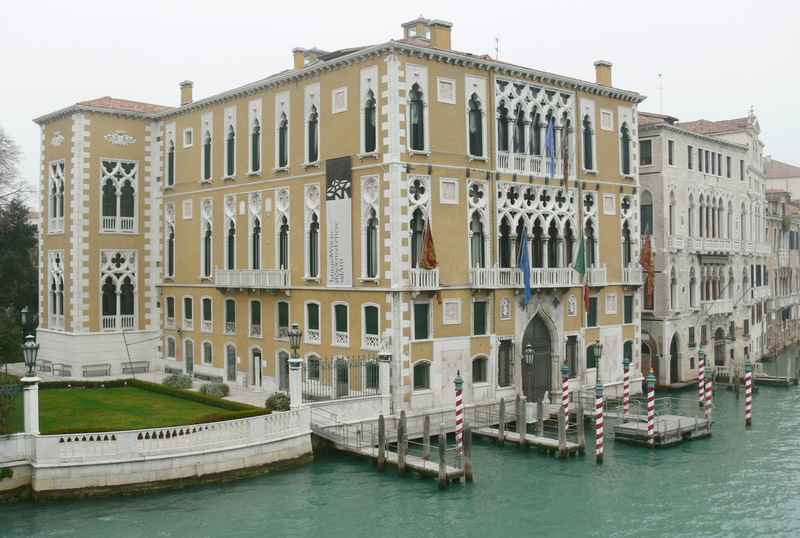 Since 2009, with the project Glasstress, the most interesting works have been exhibited in the historical Palazzo Franchetti as a collateral event of the Venice Biennale, for four consecutive editions. Glasstress became a traveling event presented in the cities of Riga, Stockholm, New York, Beirut, London and in 2015 has enjoyed the prestigious collaboration with the Hermitage Museum, St. Petersburg. In 2016 the Fondazione Berengo, which is based at the Palazzo Franchetti, launched collaborations with prestigious international institutions and personalities, for the exhibitions “Tony Cragg, Sculptures and Drawings”, St. Petersburg, “Glassfever”, Dordrecht, and “ZAHA HADID” Venice. Other initiatives are planned for 2017, which include “Glasstress Boca Raton”, “Glasstress 2017 LIVE!” and a solo exhibition of Song Dong at the Museo del Novecento, Florence. As a second home for Glasstress, and the future permanent collection, the Fondazione opened an exhibition space in Murano in an old glass furnace that was unused for decades. With the objective of educating future generations of new glass masters and glass professionals, Fondazione Berengo promotes artists’s residencies and internships.